Enterprise Risk Management (ERM) is a group of structured and consistent risk management processes that are applied across the entire organization. It is driven by a formal program that is aligned with the organization’s profile and strategic objectives. It is enhanced by defined roles with active committees, policies and procedures, reporting, communication, and technology. ERM produces various risk mitigation and control activities implemented over time within business units. The resulting strategic, financial, and operational benefits strengthen the organization and reduce the potential for unexpected losses. SMARTER ERM methodology establishes the framework and components of an ERM program. 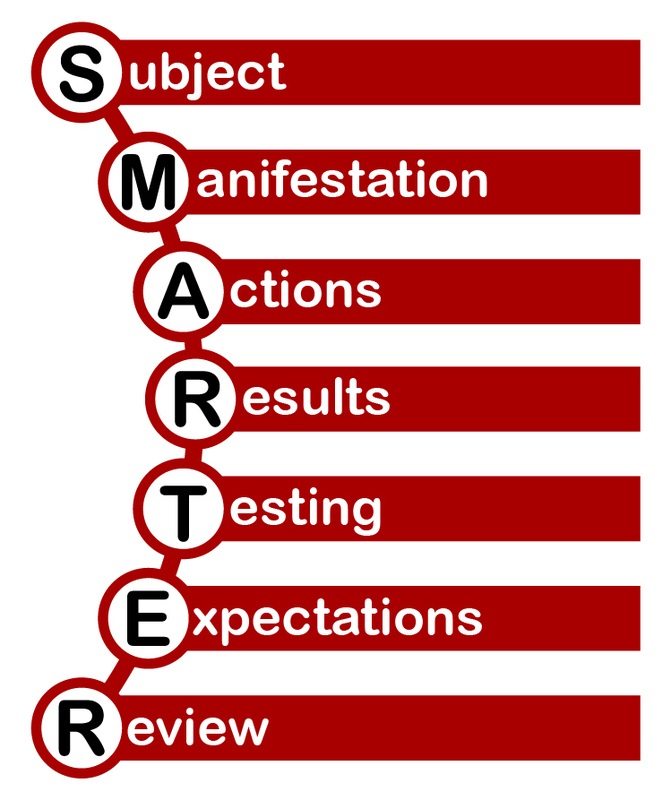 SMARTER is an acronym for the activities and actions shown in the diagram to the left. 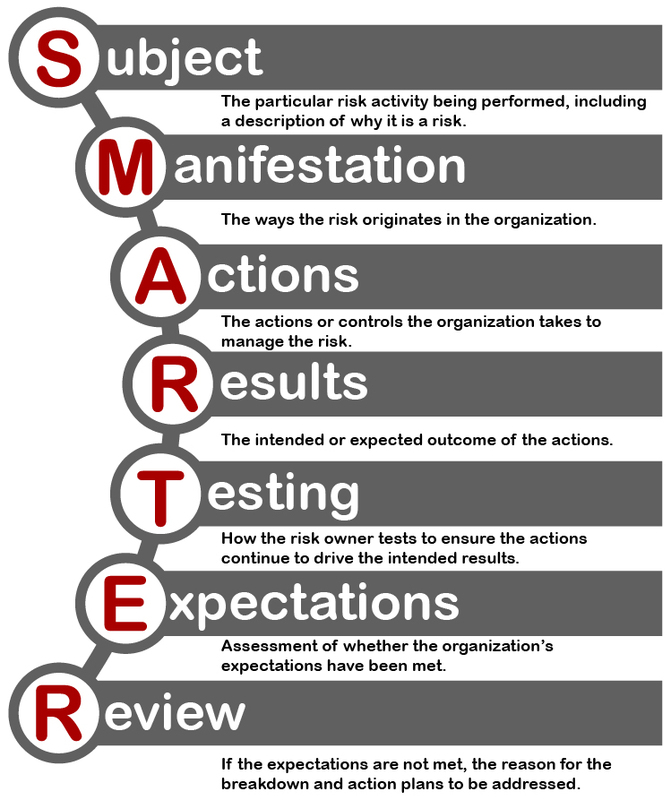 Built upon the COSO and ISO ERM Frameworks, the SMARTER approach was developed as a user friendly method to help organizations and business unit owners quickly and effectively incorporate the principles of ERM into the overall management structure. The SMARTER approach takes the documented actions and puts them in a user friendly form. In short, our success is based on an organization’s ability to effectively continue this ERM Program long after we have finished the engagement. The brief description below lays the groundwork for the creation of SMARTER charts and the information they contain. Our SMARTER approach begins with an assessment of the organization from the outside by using public data and reported performance information to form a risk-based view of the organization. This is the initial effort to identify the risk profile and the risk culture that has developed over time. After this, we use the profile to address any gaps between the outside view and the inside understanding of the risk culture. A company’s business owners and other stakeholders (those who “own” the activity and therefore the risk) will work with the SRM team to complete SMARTER charts for each of the identified risk activities that incorporate both financial and operational risk. The risk activities themselves come from facilitated sessions where they are developed, in conjunction with training the participants about risk and enterprise risk. As the process goes on, the material activities will be incorporated into a dashboard, as well as developing the key risk indicators. The results are presented in a format that is easily understood and managed by the organization. See some examples on the successful implementation of our SMARTER Risk Management services.